View cart “Oakland Tree Lasercut Bamboo Earrings” has been added to your cart. 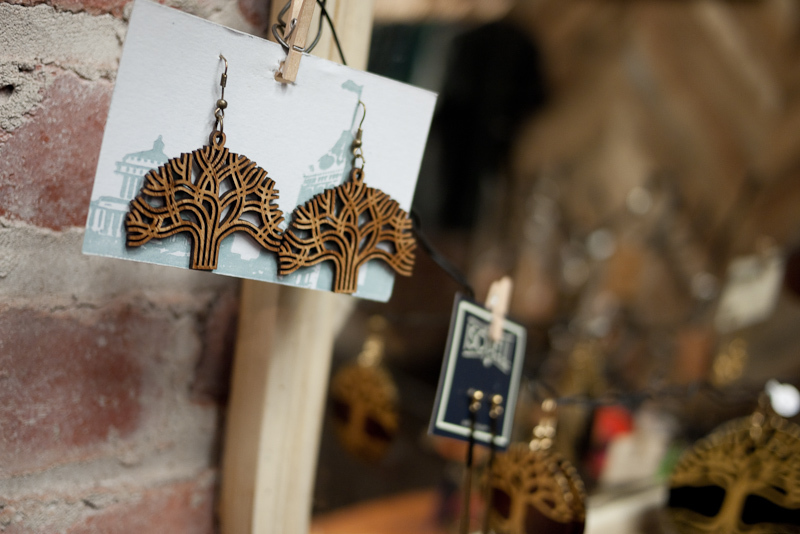 Celebrate Oakland with these laser-cut bamboo earrings. 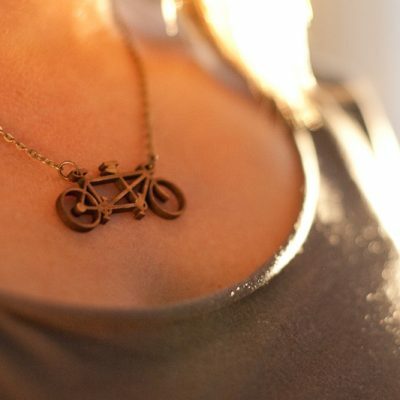 Designed and made for you in Oakland, California. Celebrate your Oakland pride with these laser cut bamboo earrings. I designed these earrings locally in Oakland with the goal of using my engineering experience to create products inspired by our beautiful and culturally-rich city. These large earrings are made of bamboo veneer and paired with antique bronze findings. 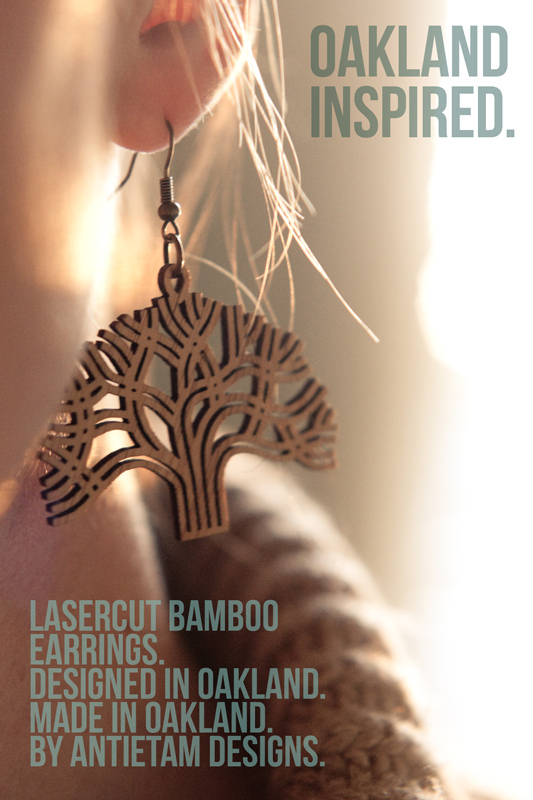 Miniscule portions of bamboo are burned away by a high-output laser to leave behind a uniquely detailed earring. The grain of the bamboo adds a nice texture while the browning from the laser cutting process adds depth and contrast. The earring shape is based on the ubiquitous official Oakland tree logo that is found our street signs, city documents, construction barriers, and even trash cans. It is everywhere in Oakland. Here in Oakland, the logo was modified and optimized for the laser cutting process to improve the earring’s strength while still preserving fine detail. Keep your money in the Oakland community. These earrings are laser cut here in West Oakland. 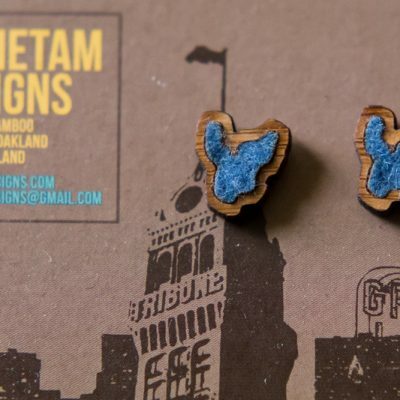 The earrings come on a hand-printed card featuring iconic Oakland landmarks. Length: 1.6″ without ear wires, 2.4″ with ear wires. Light weight: 1.5 grams each. Or stop by LOAKAL (550 2nd St, Oakland, CA) or Oaklandish (1444 Broadway, Oakland, CA) to try on a pair and see some great t-shirts and other offerings! CA sales tax applicable for CA residents.